Kai Straw is the name of one of San Francisco’s best kept secrets. The humble creative is known for a dynamic sound that has taken him from hip-hop producer, to emcee, to poet, to singer-songwriter, to one of the most unique R&B / soul vocalists on record. Kai’s diversity in sound is matched only by his eclectic taste beyond the mic; as the director of his own videos, as a writer, musician and producer – he seems to be a modern renaissance man expressing panoramic talent across the arts in addition to his headlining forte. Kai Straw is set to release his album, GUN, through his own imprint Tenth Gate Records. Complete with 10 songs, GUN sees Kai Straw levying his singing talent to new heights through a multitude of varied records; each possessing a kaleidoscopic range of influence across a broad spectrum of genres – from indie and soul, to funk and R&B, to EDM and hip-hop. Produced by James The Bear, this LP builds on the sound of Kai’s previous album Toothpick, but is characterized by a tone that is as eclectic as it is sure-footed. If Toothpick can be considered Kai’s first step into the foray of the pop music landscape, then his newest record, aptly titled GUN, is his sonic boom. In 2016, Kai Straw released his highly anticipated album Toothpick, whose sounds caught fans by surprise in the best way possible. 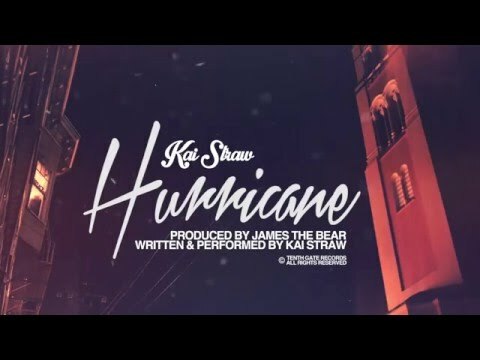 His most successful album to date, Kai Straw reached fans around the world by locking in support from Spotify through their Best Fresh Finds of 2016, as well as seeing the single “Hurricane” reach #2 on their Global Viral Chart. The album received support from entertainment figures like Demi Lovato and MTV’s Khylin Rhambo, as well as tastemaking music blogs including Indie Shuffle, Music Ninja, Girl Underground Music and more.